1. In a bowl, mix Wheat flour, Salt, Vegetable oil, Cilantro & Curry leaves together. Make a dough & rest for 30 mins. 2. In another bowl, add Bread pieces, Red chilli, Cumin powder, Coriander powder & Garam masala powder Mint chutney, Lemon juice, Green chillies,& Milk. Mix well & make balls out of it. 3. 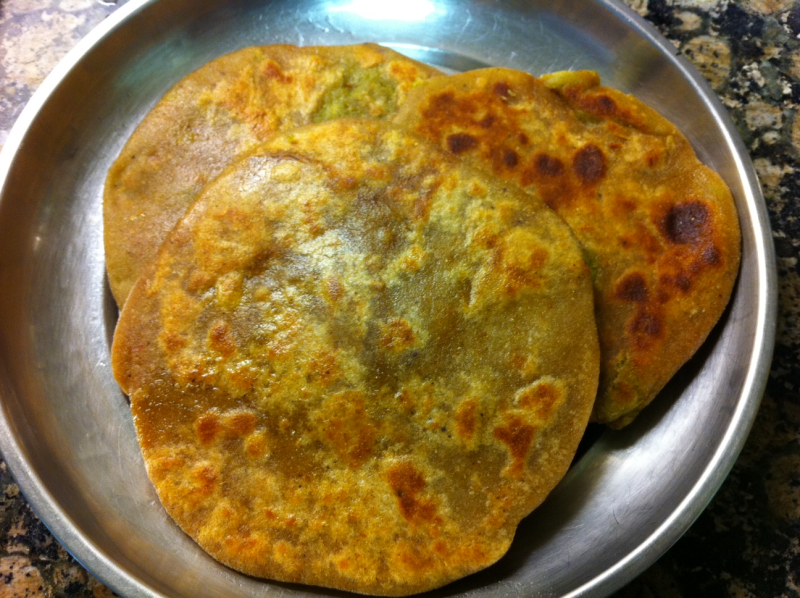 Roll out the dough into small disc, place a small ball of bread mixture in the center, seal the edges & make parathas. 4. On Medium heat cook the parathas flipping on both the sides. Add Ghee/Oil/Butter around it. Serve hot with yogurt & pickle. Note : You can also add some finely chopped or grated vegetables to make it more healthy.